Invitation Bundoran to Celebrate St Patrick’s Day! 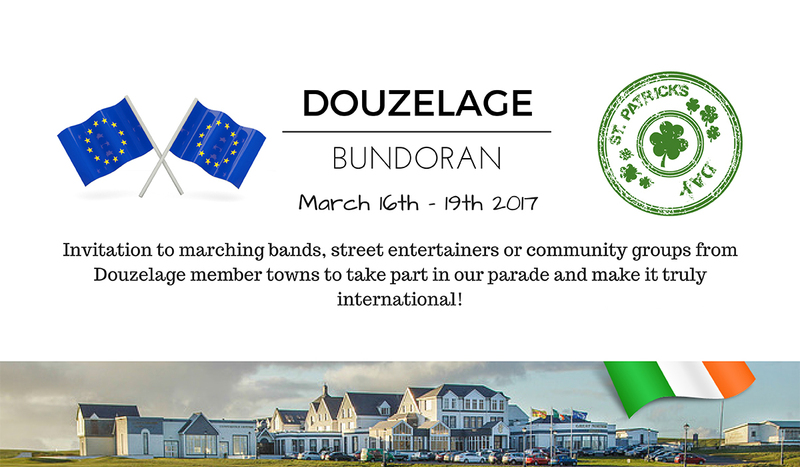 We invite you to come represent your town in our parade in 2017, wave your town/country flag, bring a band or just come to experience St Patrick’s Day in Ireland!! A warm Irish welcome awaits you! ← Carnaval of Granville Unesco World Heritage!